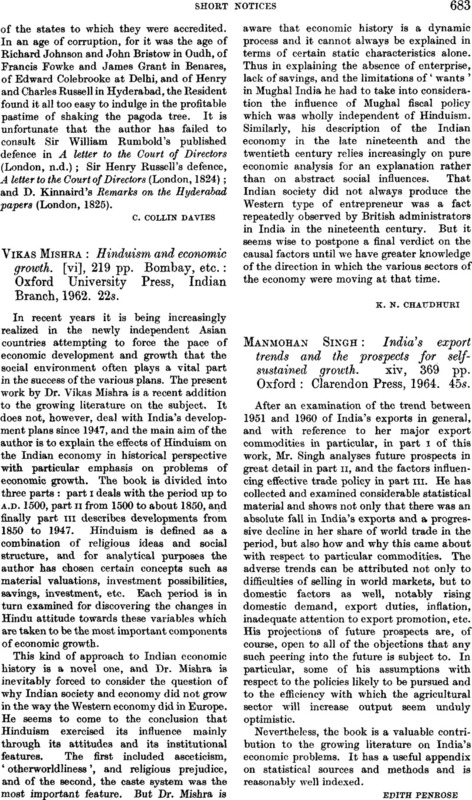 Vikas Mishra: Hinduism and economic growth, [vi], 219 pp. Bombay, etc. : Oxford University Press, Indian Branch, 1962. 22s.